The Tennessee Titans have released running back Chris Johnson as has been expected since the season ended. Johnson was scheduled to make $8,000,000.00 this season and had a $10,000,000.00 cap charge which the Titans were not going to absorb. 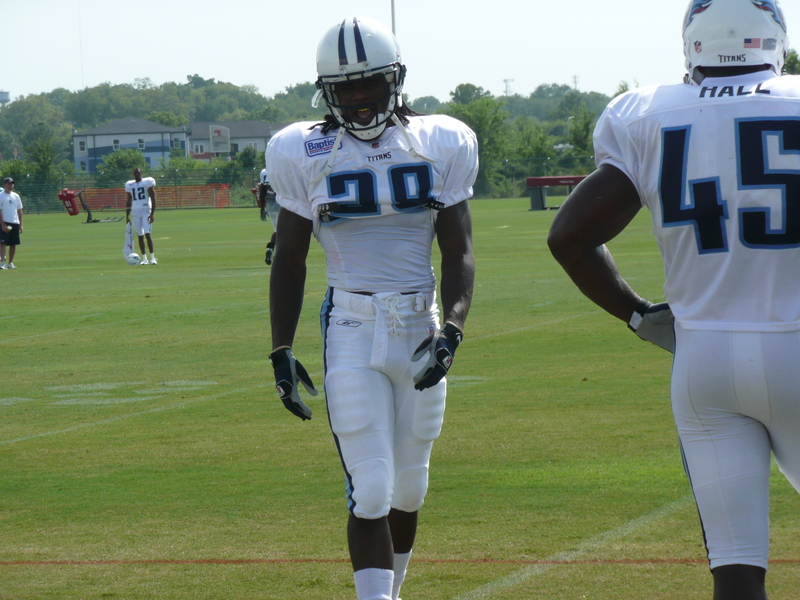 The Titans signed Johnson to a 4 year $53.5 million dollar extension prior to the 2011 season. He is free to sign with any team. A first round pick in the 2008 NFL Draft, Johnson finishes his Titans career third on the all time rushing list only behind Eddie George with 2733 touches for 10009 rushing yards, 64 touchdowns and 34 fumbles and Earl Campbell with 1979 carries for 8574, 73 touchdowns and 39 fumbles. Johnson carried the ball 1742 times for 7965 yards, 50 touchdowns and only 18 fumbles. He added 272 receptions for 2003 receiving yards and 8 touchdowns. An incredibly durable player for the Titans, Johnson only missed one game in his 6 year career. He finished his Titans career with a long run of 94 yards and a 4.6 yards per carry average. His 83.8 yards per game average was second in franchise history only to Earl Campbell at 94.2. George comes in third with a 78.2 yards per game average. Johnson is one of only 7 running backs to ever rush for more than 2000 yards in one season, a feat he accomplished in 2009. His 4.23 40 yard dash still stands as the combine record. He had rushed for over 1000 yards in each of his 6 seasons with the Titans. We would like to thank Chris Johnson for his contributions to the Titans and wish him all the best as he enters free agency for the first time. It’s a shame they had to go and sign him to the outrageous money because they could have held on to him at a normal price. As a Texan fan, I say good riddance 🙂 But he was in my starting backfield that went to the Fantasy Championship last year so I wish him well (which really means don’t sign with the Jets).